Mobile Security: What Matters To You? Mobile malware is becoming both more prevalent and more pernicious. Among the 160m+ avast! users today, many of you also turn to avast! 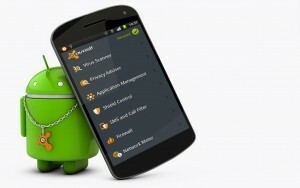 Mobile Security to protect your Android device (over 10M+ downloads on Google Play Store…thank you Avast C ommunity!). But we also see that the awareness and level of concern over mobile malware among the general population is quite low, especially compared to awareness and concern levels of PC malware. This makes sense. We don’t see large-scale virus outbreaks on mobile devices like we’ve seen on PCs, and we don’t see our app mobile OS vendors release endless streams of security patches alongside dire warnings for users who fail to update their programs. Instead, mobile malware is more likely to use your phone for sending premium SMS messages or steal some personal data than “infect” your device. Without seeing mobile malware outbreaks on a regular basis firsthand, or hearing about them on the news, it’s only natural that other security issues seems more real to people. When we do come across news reports about mobile device concerns, it is more likely to be about data privacy and location tracking than about malicious apps. And everyone has either lost a phone or know someone close to them who has, and so understands the disruption that this causes. Many of you also have young children with cellphones and you may worry about the texts they’re receiving and what information they be divulging on social networks via their phones. What this means is that mobile security in the broader sense is a lot more than antimalware. There are a range of issues and concerns to address, and range of protection mechanisms we could apply. We provide many of them today through our avast! Mobile Security solutions. But we also know that there is plenty of room for us to grow here as well, and that we must expand in order to both keep and build upon those 10M+ people who trust us to protect their mobile devices. What do you see as the single most important safeguard you could have on your mobile devices? Take our Facebook poll and see what other avast! followers have to say.